Siobhan Russell was looking for some scenic calendar shots on the beach, but found some fellas getting in the way. 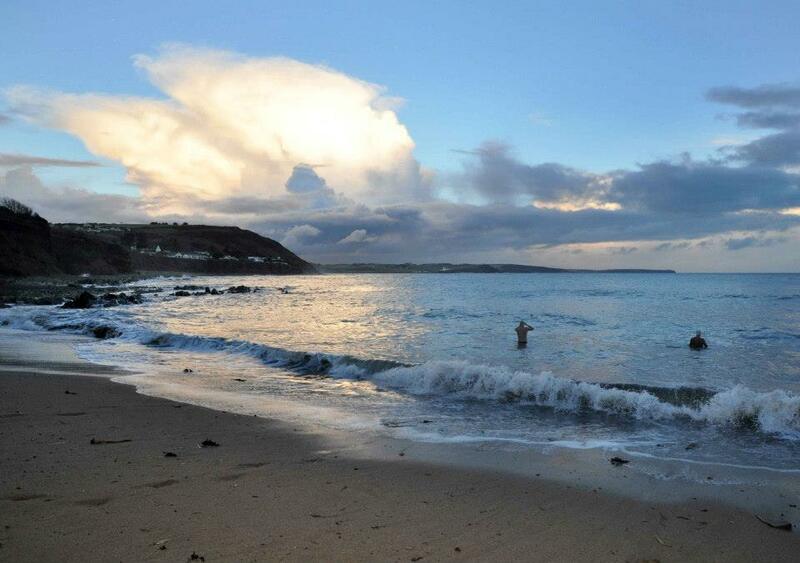 Beautiful shot of Myrtleville late on a January afternoon – just ignore the two guys on the bottom right. Siobhan’s a true professional, so she just bided her time. 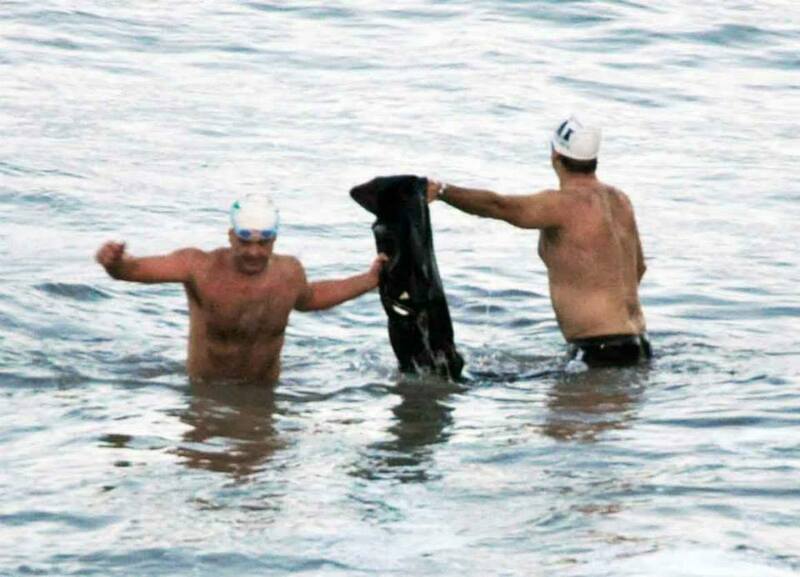 Gary Frost has diligently stuck at his plan for the Winter, taking off his wetsuit at the end of each swim, to do a few minutes in togs and build up his acclimatisation. He’ll do an hour in April, no bother. Gary Frost passes his suit to his wardrobe assistant as he continues his acclimatisation plan. 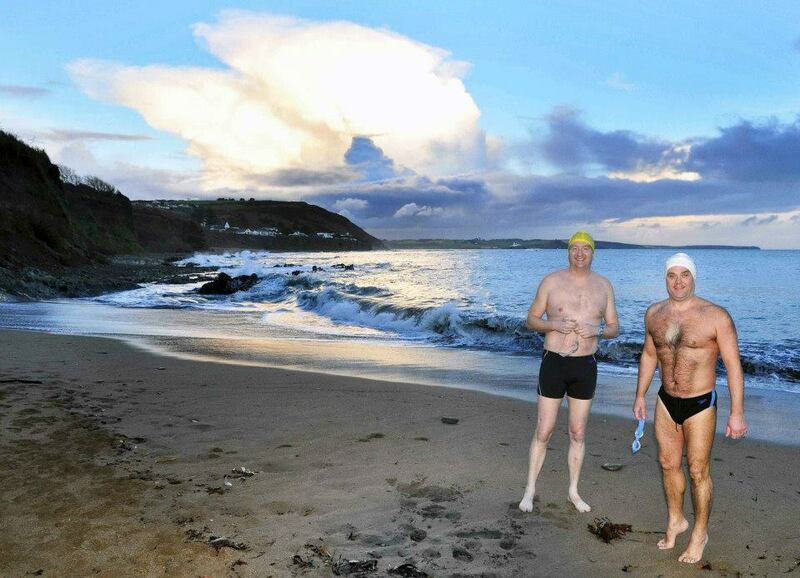 Usual swim tomorrow, Saturday, at 08.15. Water about 8.5c on Thursday – might be a little lower early tomorrow.